While enrolled at THINK Global School, students are encouraged to be introspective during the course of their studies and travels. When the students document these thoughts, we are often delighted with the results. Below you can find the reflections of our Bhutanese ninth grader Gawa, who intertwines a story from her youth with the beauty of flowers. For once, no flowers. I suppose I have lived a fairly fruitful life in the short period of time that I have come into existence in this universe. I would wake up everyday with a smile on my face, not knowing what the day had in store for me. Excitement would rush through me for no reason at all. I was just happy to be awake and ready to do things and have fun! Looking back on my childhood, I feel that this has really shaped me into the person I am today. I always feel that those were the times when even the smallest things would mean the world to me. When life was so easy and everyday that passed seemed to go by so quickly. A time when life was not a major concern; when I could accept it as it was. Flowers are a beautiful part of mother earth and add to the positivity of the world. I’ve always liked flowers, and I still do. I believe that flowers give the world smiles and happiness. With whatever god has chosen to give us, flowers are among things that we just don’t appreciate enough. Poppies are mostly used in times of death to show consolation while lilies are used in burials as they represent life. White is the color of purity, innocence and chastity. White roses are therefore used to accompany the bride down the aisle. When given as gifts they are usually signs of sympathy and humility. 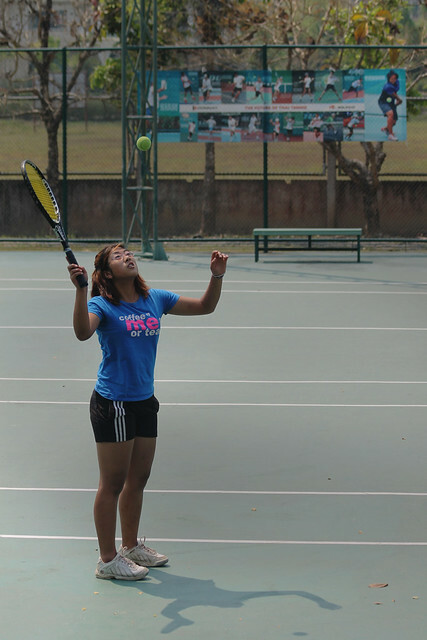 I’d been playing tennis for a little more than a year, and I knew that that was what made me happy. That was what I wanted to do. I was willing to work hard and it paid off. In November of 2008, I was informed that I would be representing the country on the junior national team. It was, of course, music to my ears. The head coach of the Bhutan Tennis Federation called me to tell me the good news. At first, I couldn’t believe it; it almost seemed too good to be true. I hadn’t been playing for a very long time at all so it sort of took a while for my brain to register everything that was happening. After I was finally able to accept that it was real, that it was happening, I decided that this opportunity was the best I’ve ever had. I saw the opportunity as a flower, a flower that had bloomed through the course of time. Like every other being, a flower starts out with one goal: to live, to survive and to weather the storm. The delicate coral of mountainous majesty spiral over and around the sepal like a vine, reaching out to the sky. Head, wind or storm the buds prevail still. The first day at the courts and I had never felt more nervous in my entire life. I didn’t expect to win the whole tournament but I did intend on making my country proud. The day gloomed upon me as I stepped onto the flat hard floor of the tennis courts. Despite the weather, the mood of the day, I didn’t allow that to stop me from doing my best. Flowers, not flower. Each one different in their own way, flowers exist in numbers unimaginable. The helichrysum (also known as immortelle and strawflower) can survive cold winter nights that go as low as 0 Fahrenheit. Sometimes called everlasting, it needs summer days with high heat. My first match was against a player from Nepal. I didn’t know much about her background but as far as I was concerned, I only saw her as someone I had to beat. Yet, there was something inside of me that wouldn’t let me play to the best of my abilities. I was two points away from losing the game and I could feel the pressure. It was a terrible feeling. I panicked and most of my shots started flying off my racket. I had no excuses and I lost. I felt like I had let my country down. It had only been one match, however it was the first; the first chance for me to prove myself and I had failed. I went into the consolation rounds and thankfully enough I won my second match against the Maldives. It gave me a confidence boost and I was grateful for that. My third match however, was against a very strong contender and even the fact that I was playing against her made my insides churn. Just hoping, with all my heart that I didn’t humiliate myself. A flower will start to wither no matter what. No one can do anything to stop it. Summer leaves us with happiness for us to remember; happiness that gradually fades into distant memories, vague scenes from the past, a blur. Leaves transform into a crisp shade of golden brown and it strikes us, autumn is here. When winter hits, the flower dies. No one can save it. No nutrients, no water and no sunlight. The flower is not given a choice. The time has come and it cannot go back. There’s nothing worth regretting. The flower does not regret. The rest of the tournament didn’t work out as well as I thought it would. But it certainly played a crucial part in my life and helped a great deal in shaping it to make me the person I am today. At the end of the tournament, I was ranked 20th. I wasn’t last but I knew it definitely wasn’t good enough. I realized that at the rate I was going, I was never going to get anywhere. I felt hurt. I was disappointed. I wanted to give up. Losing isn’t the greatest feeling, but it made me realize that tennis is not something I can do. It wasn’t something that I could make a living out of. The events and outcomes that took place in Malaysia that month gave me a visual of why tennis isn’t a good option. Firstly, if I were to stay in Bhutan the whole time, the facilities available were simply not going to be enough to provide me with a good background to compete on an international level. 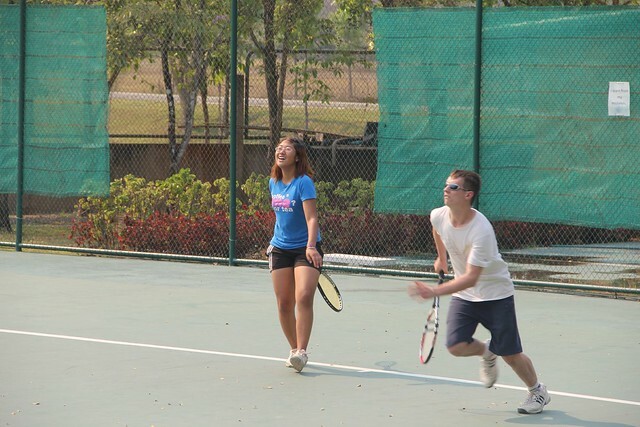 Ever since then, I haven’t taken tennis seriously. I admit it was hard at first; I was left with crushed hope and shattered dreams that felt like it had been broken into a million pieces. I blamed myself for not working hard enough, for not making the best of the opportunities I had and for the choices I made. I had plenty of regrets and I was miserable. But with time came maturity and acceptance. I now feel more at peace with the decision I’ve made than ever before. Some flowers have seeds popping out of them to get a chance at life. Before the flowers start to wither, the seeds get time to live off of it. They feed on it. Autumn arrives, where seedpods pop open and fling its seeds away from the plant. If you have patience, you can sit and watch it happen.